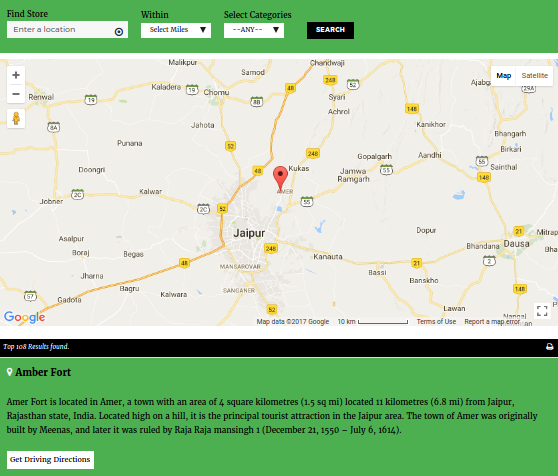 Store Locator Plugin for Wordpress is a plugin for creating a store locator on your site efficiently. 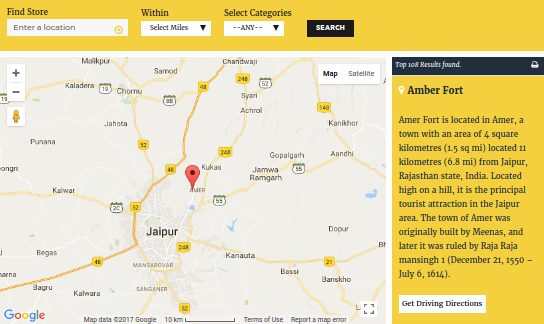 This allows your users to find stores nearby or close to a custom location. You can use the Import Tool to setup multiple stores in seconds. Display Nearby Stores on Page Load in Store locator. Show Stores on Filters Only in Store Locator. Apply Snazzy Maps Skin on Store Locator. Set Map Language for Store Locator. Show Store Locator in Hybrid Mode. Show Store Locator in Terrain Mode. 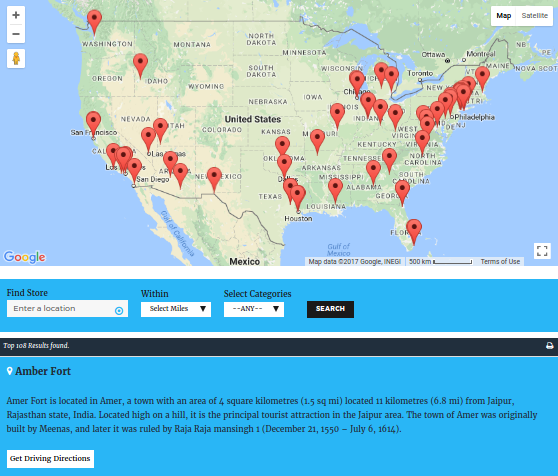 Show Store Locator in SATELLITE Mode. Show Store Locator in Roadmap Mode. Store Locator With Stores Listing On Left. Store Locator With Map On Top. Store Locator with Listing at Bottom. 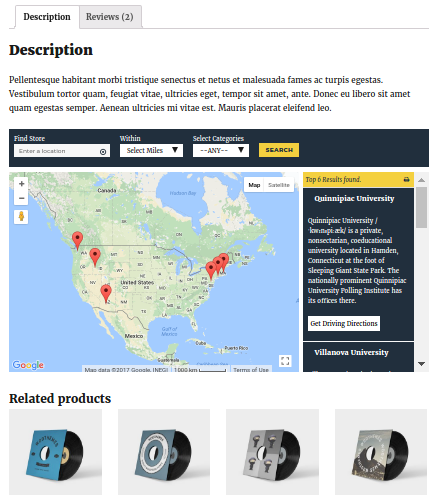 Show Store Locator on WordPress Site. Admin can import stores using CSV file. latitude & longitude are not required. Smart Geo coding system is inbuilt to get latitude and longitude. Admin can add any number of stores manually using Add Store page. Create Store’s categories and assign to the store. Visitor can filter stores by Category on the frontend. Category Icon – set a marker for a whole category, rather than having to choose for every store. 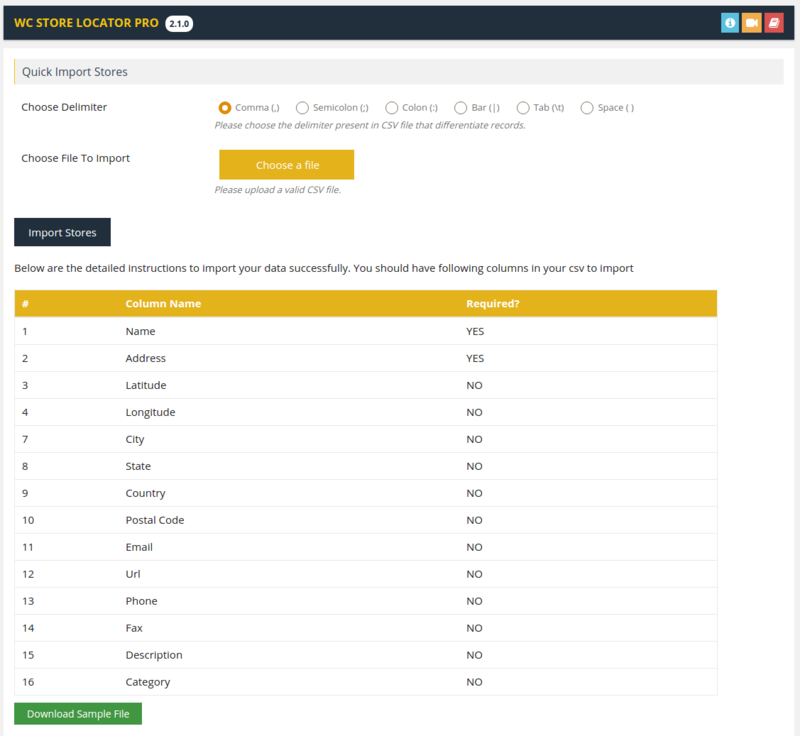 Export Stores in the CSV and transfer your stores from one site to another site. Admin can make changes into exported CSV and Import it back to update stores in bulk at once. 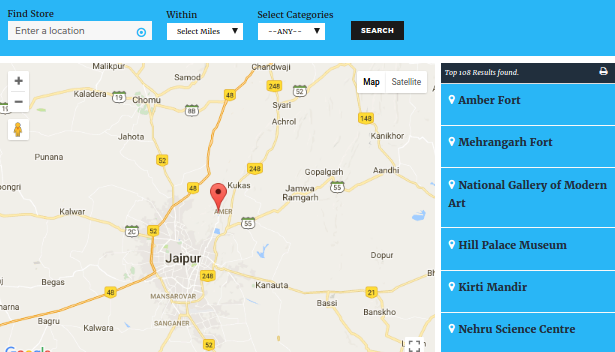 Show nearby stores based on user’s current location. 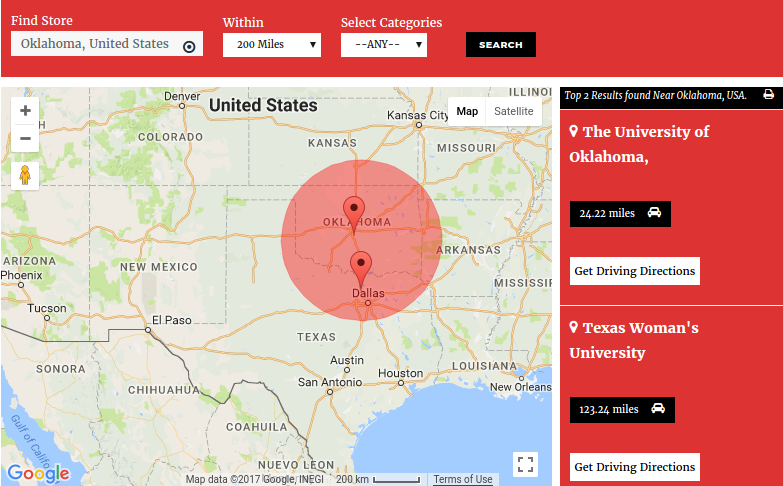 Find all the stores inside a given radius from a custom location or own location. Customize google maps type according to your requirement. Roadmap, Satellite, Hybrid and Terrain types supported. Apply beautiful snazzymaps skins on the maps easily. WooCommerce Supported – Admin can assign stores to the product. 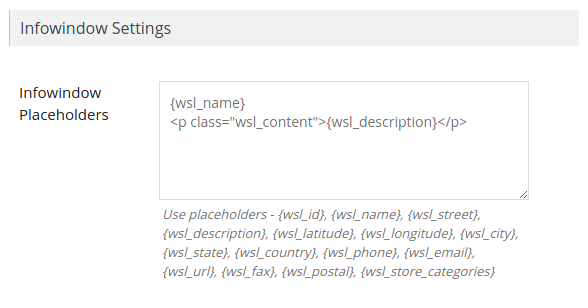 Use [wc_store_locator] shortcode to display nearby stores on the map on product page. Visitors can find nearby stores to buy the product. Apply ready made responsive skins with different colors. Customize Infowindow Message using Placeholder to display store information on marker click. Customize listing below the map to display store information in the listing. Visitor can view directions to the store in the KM or Miles. Highlight nearby stores using a circle to visualize them easily. Allow user to search nearby stores by address or postal code. Ability to sort stores by distance. Nearest store will be come on the top. Visitor can print store listing to use them later. - New - Import Process Improved with Advanced Geocoding. - Fix - PHP 7 Compatible issues fixed. - New - Marker Clusterer fucntionality is integrated. - New - Shortcode Parameters added. - Improve - 'How to use' page instructions updated. 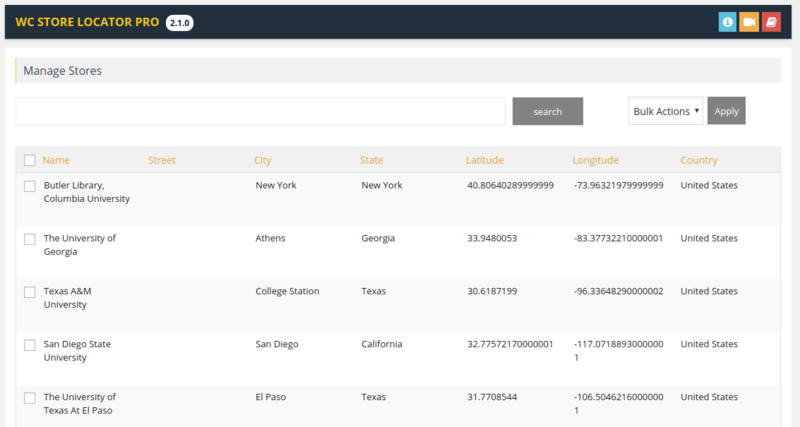 - New - Smart Geocoder Integrated so You can import CSV without latitude & longitude. - Improve - New UI for Backend Pages. - New - Template system integrated for multiple templates. 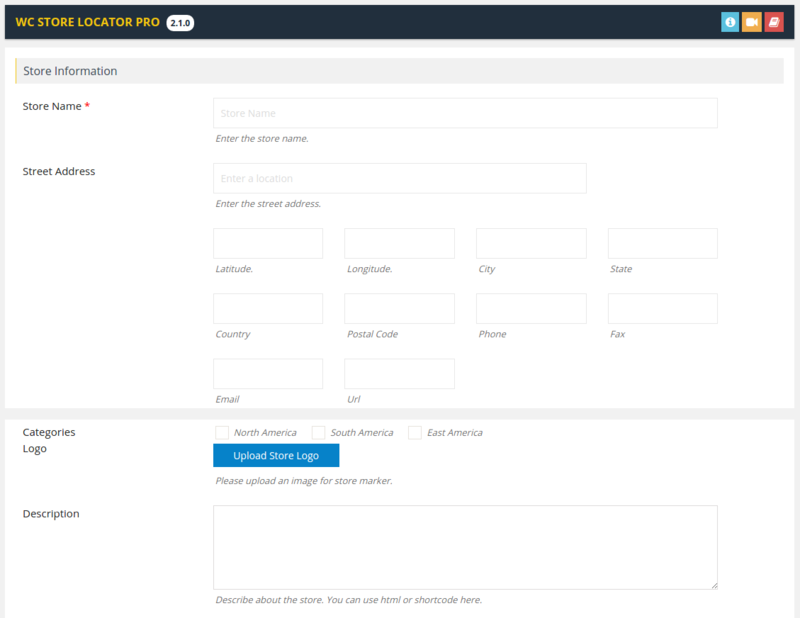 - Fix - Ability to export all fields including website, fax etc. - Fix- Missing strings added in .po language files. - Fix -   Import by category is fixed. - New -  'Category' column is added in sample CSV. - Fix -    'Category' was not importing correctly is fixed. - New - Ability to assign category to locations using CSV. - Fix - Marker is not draggable on front-end. -  Fix - Export CSV fields are ready to import back now. - Improvement - 'How to Use' instruction are added. - Fix - license verification was not working. -  Improvement - Filter layout in single row. - Fix - CSS background issue in WP 4.6. 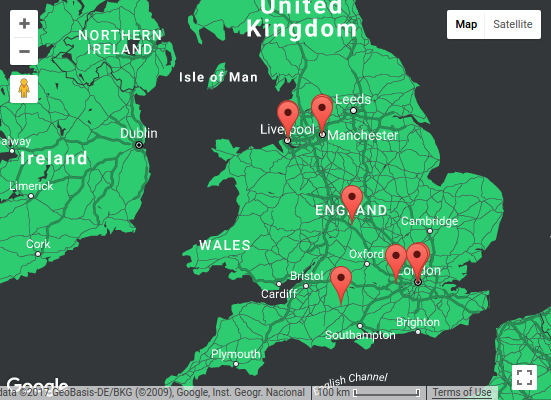 - New - Snazzymaps.com Integration for google maps styles. - Fix - Missing google maps api key in the backend. - Fix - Loader sign on store search for better usability. - html_entity_decode is added to decode htmlentities to display in the listing. - Info-window Setting added to customize info-window message. -  Few placeholders was not working - resolved.